Hi, I’m Simon Jones, DIO’s Senior Project Manager working for PPD in the South West of the UK. You would of course imagine that service personnel would be extensively trained to operate aircraft and other vehicles, but what about training for emergency situations? 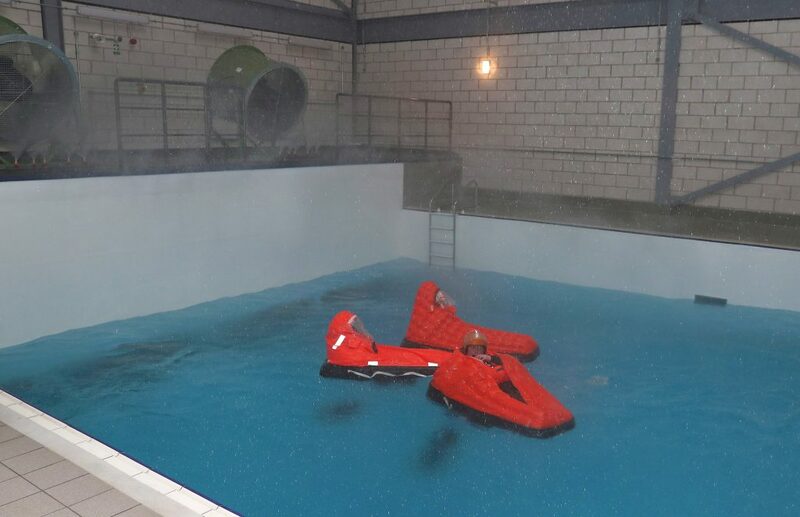 You may not realise that staff are also required to train for a range of scenarios, including emergency landings in water. To make this training as realistic as possible DIO has invested £20m in a new facility known as ‘The Dunker’ at RNAS Yeovilton. 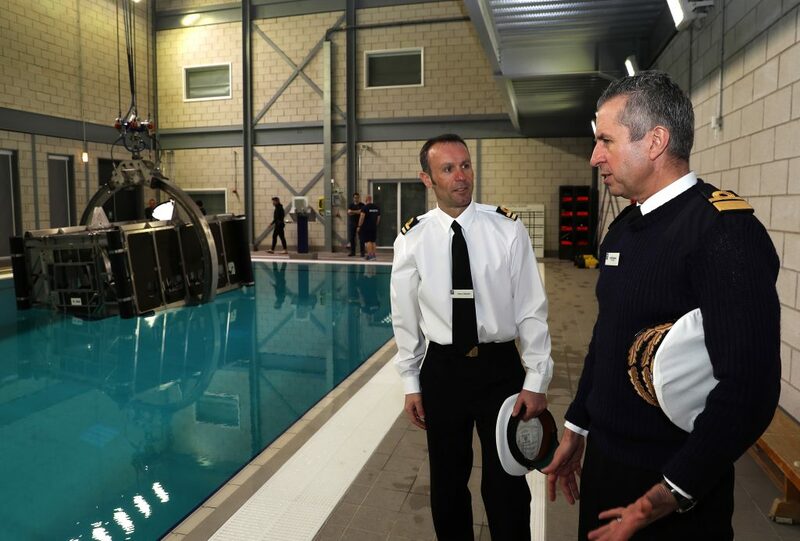 Its official name, although not as catchy, is the Royal Navy Centre of Maritime SERE and Underwater Escape Training Facility. We worked with Mott MacDonald who supported us as our (PSP) Principal Support Provider with project management from an early stage in the project and with Galliford Try Ltd who were responsible for the construction of this unique training centre. The facility is essential for training personnel in escape techniques when aircraft and amphibious vehicles are operated over water. The new facility is much more efficient and cost effective. 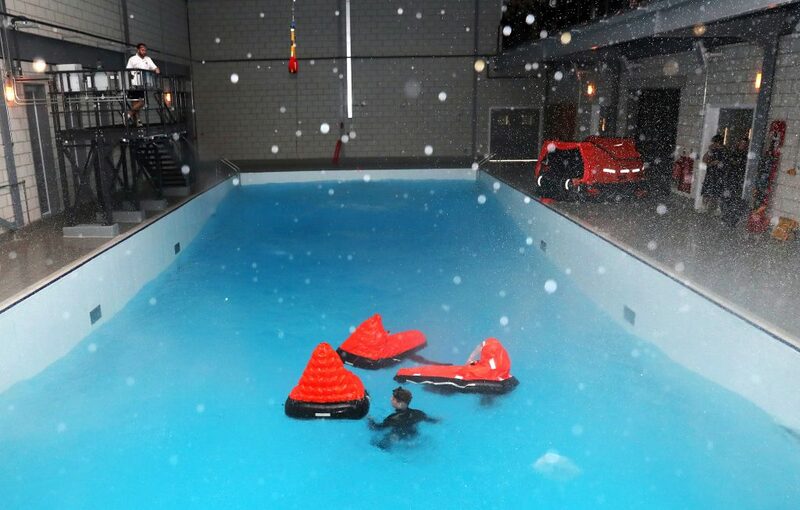 It provides a more realistic training environment, it can even simulate weather conditions such as wind, rain and waves as well as both daytime and night time scenarios. Staff can train in different vehicle specific modules, both amphibious vehicles and aircraft. In the dunker, personnel will be able to experience underwater escape from vehicles, safe ascent to the surface, surviving a ditching scenario, correct conduct of Sea Survival drills on the surface and Search and Rescue Helicopter drills. It was a challenging project requiring creative thinking from both DIO and its contractors. As the building is on a flight path at RNAS Yeovilton it had to be built into the ground due to height restrictions placed on the project by Navy air traffic control. In order to keep the building in the ground, ground anchors were required due to the high water table in the area, the building had to be designed to keep water out as well as in! In order to accommodate an increase in training the new building is home to 3 deep training pools which allow for multiple groups to be trained at the same time. There is a ‘Dunker’ pool which is 5m deep, the Survival Equipment (SE) pool is 4m deep and there is also a smaller Short Term Air Supply System (STASS) pool measuring 3m deep. The new facility combines all the elements of pool and sea drills and dunker under one roof. We also made sure to consider the long term future of the facility throughout design and construction. The building has been designed so that large items of plant can be removed and replaced from the underground plant rooms. The roof has even been constructed so that the large crane can removed when it needs to be replaced, which should be in approximately 30 years’ time. Despite numerous design and site challenges, including archaeological finds which were uncovered during construction, the team delivered all of these bespoke requirements on time, on budget and to a very high standard. 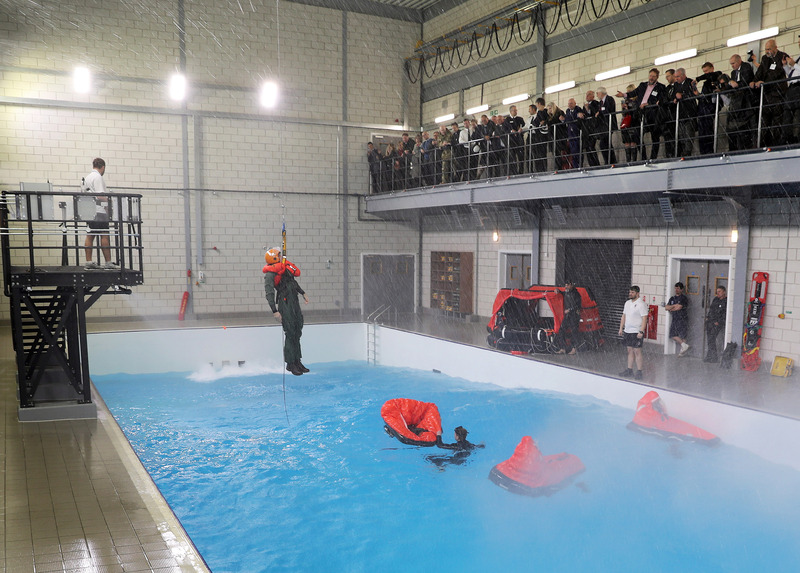 The construction of ‘the dunker’ is an excellent example of MOD’s commitment to work together with a range of industry partners to modernise our military infrastructure and ensure the best possible safety training for the UK’s Armed Forces. Calling all engineers and engineers to be - think Defence!